The Nile used not to reach to al-Fayyum, so the people complained to Joseph peace be on him about it. He built a dam in the river, and at the bottom of it he installed valves, inducts of glass. The dam retained the water, so that it rose until it reached the ground of al-Fayyum, and irrigated it. At present it is the most watered area in Egypt do you not see that there are the farms of rice, or do you not notice the burden of its land taxes, the greatness of its income? During its flood the water goes over the top of the dam; so sometimes they allow the boats to go over with the flow, and they glide down safely, though sometimes they capsize and turn upside down. When the people no longer need the water, the valves are opened and the water subsides. All the wells that are close to the Nile are sweet, while those some distance away from it are disagreeable. The best baths are those by the shore. Entering through the town are canals from which they draw their water by means of water wheels. 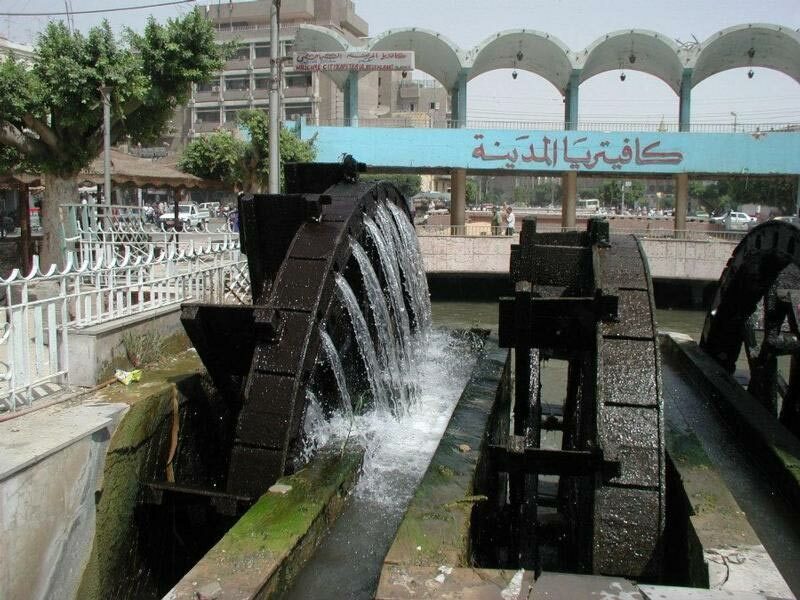 On the Nile itself also are numerous wheels which irrigate the gardens when the river is low. The water at al-Fayyum is unhealthy because it flows over the rice farms.